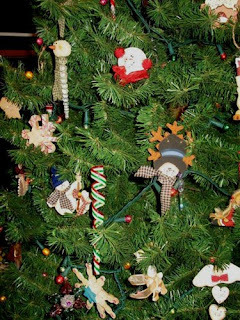 My Blog: Fabulous Fran's Tree of Ornaments! 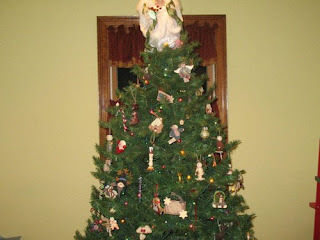 Wow, here's Fabulous Fran's entry - her simply wonderful tree! 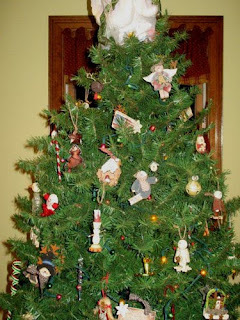 If you have purchased any ornament from us, please take a photo of it on your tree and it will be posted here on my blog. Once I receive the picture or pictures, you are entered and you have an opportunity to win a prize pack of From Nancy's Heart's ornaments!! I just love your tree Fran, is it a Douglas Fir? They seem to last the longest. Really nice Fran! I see one of my favorites - the Peppermint twist ornament I made last year! Thanks so much for your entry, Fran. Just a wonderful set of pictures!